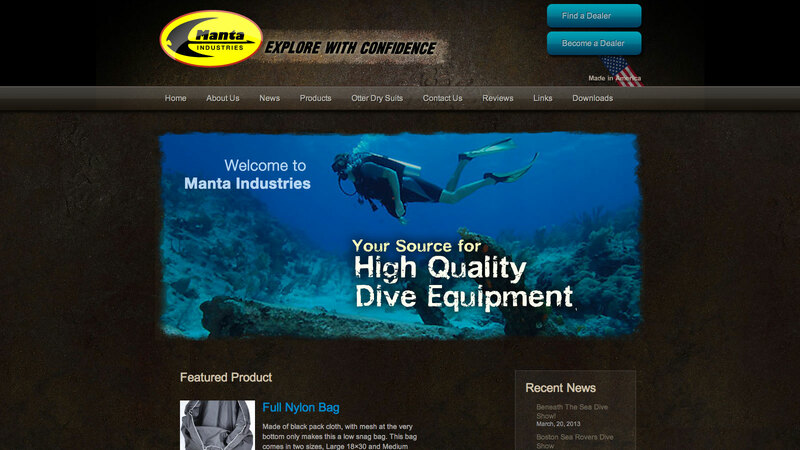 Manta Industries needed a site to promote their products to both the public and to distributors. They needed an image to compete with other top manufacturers and a database system to make it easy for them to post their products in an easy-to-browse well-designed environment. Visit this scuba equipment manufacturer website.